To be a building materials sales, I think maybe not very professional, but will be very useful and easy to be understood for the person new in this field. 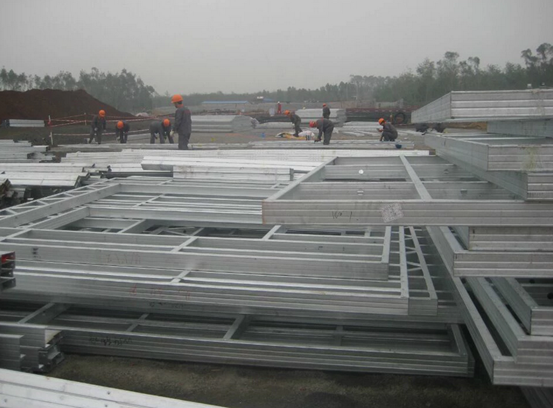 To construct a light steel house, from ground work to finish. 1. 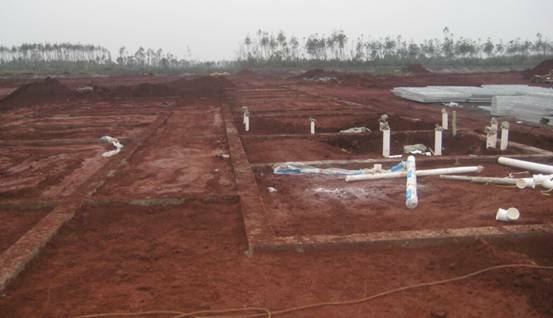 The first step is the ground work, to choose a strong but not too hard ground to allocate the ground work, this work should also obey the drawing. At the same time, should do the water drain pipes and cable underground work, which is very important, choose better quality at this sections since fixing is really complex work. For this project, our ground work with steels and stones into the earth about 1.2m, should be according to the inspection to the earth, if too soft, must be deeper. 2. Rammed down in the trenches to make a base for the concrete, mix with steels to get a strong foundation. 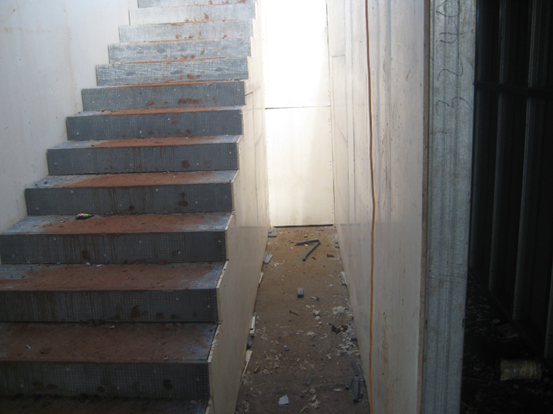 The concrete base should be flat enough to facilitate your following work on it. 3. 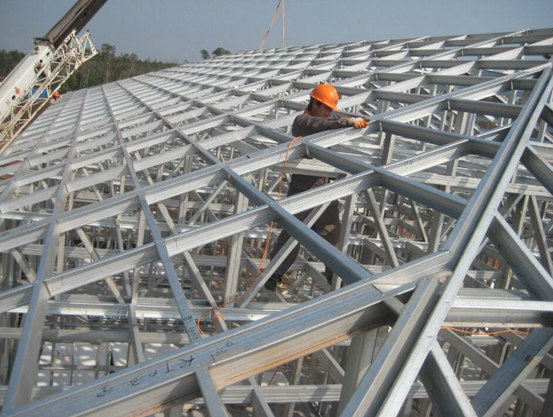 The steel truss and stud are in fact be prefabricated in factory, so on site work is only to assemble all the sections according to the drawing for truss and stud, there is no cutting and drilling wok for steel truss and stud, since all the screw holes also prefabricated in factory. 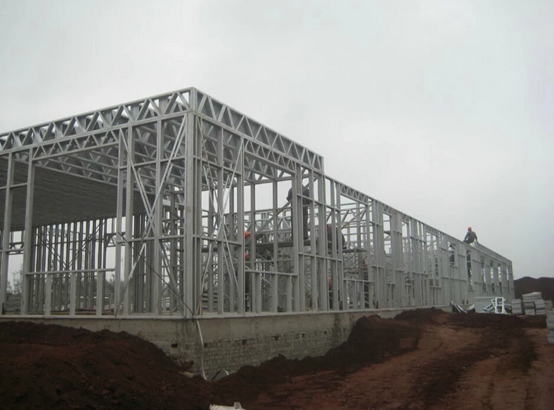 We have light steel software to prefab the steel structures and the production is controlled by this system. 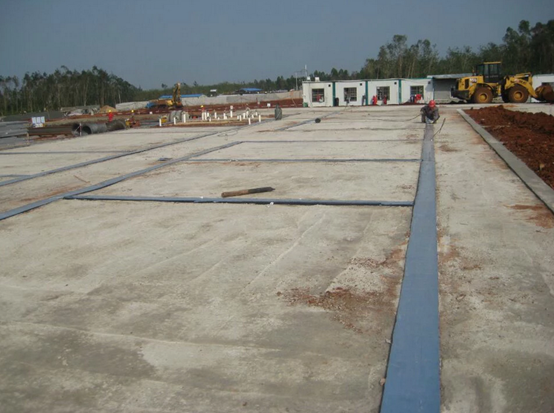 The thickness we used often 0.75mm-0.8mm, and this project in Hainan where often have hurricane and typhoon, this project already experienced 12 grade typhoon in this area in the year 2015. 4. After assemble all the sections, the next step is to combine all the sections together, and mounted to the ground tightly. 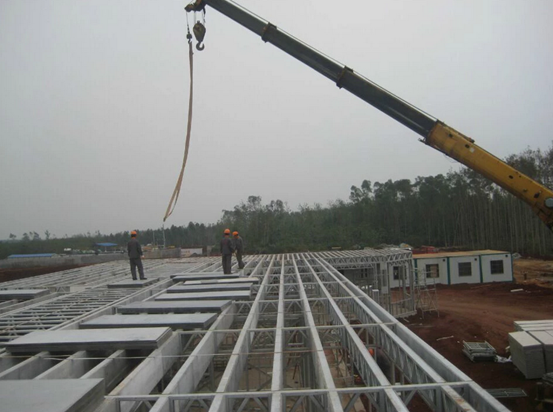 The drawings to amount the steel stud and truss already marked the first step and second step and finish. So it is not complex work. Step to step, to finish the light steel work for the house. They are as the bones of the house. 5. The truss and stud finished, like a bird nest, the next work is to cover the steel bones from inside and outside, including roofing and ceiling part. Remember here the board should be stronger structure board, not fragile and weak boards, since this should be also the structure of the house. Amount the board to the steels by screw gun. The floor parts of the house, should be even stronger board than the structure wall board, while Onekin can also make it, Onekin green board specially for flooring. 6. After finish all the coverage, the trusses and studs are all be wrapped by Onekin green boards, including flooring, and roofing and stairs. For the normal parts where only be used for skim coating and paint, construction in normal way while smooth face to outside, if for ceramic, should be rough face outside. If for normal room wall, no need the waterproof layer. 7. 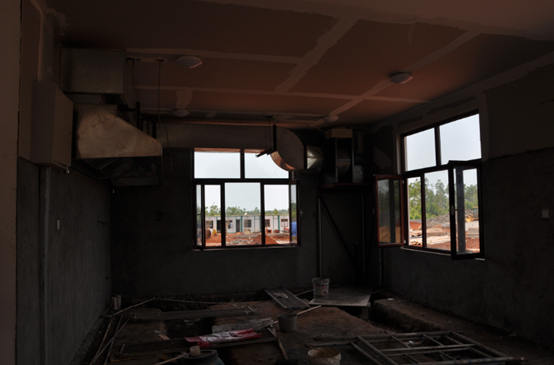 After all the cement concrete work dry, the next step is to do the decoration works, internal wall with decoration boards, such as plaster board, for ceiling and wall, mount onto the structure board. For kitchen and washroom should be ceramic. 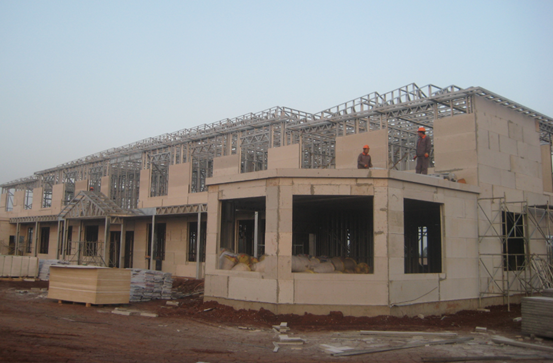 For external wall can attached external wall cladding, ceramics or cement concrete, between structure board and cladding board, can also use sandwich panel for additional weather insulation. 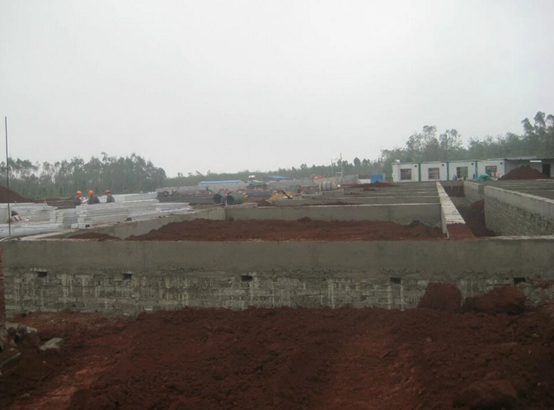 For external wall from ground to 1m-1.5m wall position, better use ceramic or false stone or waterproof concrete. 8. 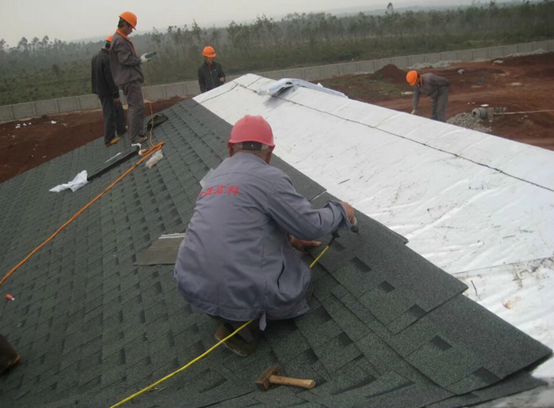 For the roof system, with separated stud and truss, after the structure boards covered the steels, use insulation wool to fill the hollow parts, on the roof board, with waterproof film before shingle coverage.